This BiPAP machine that is effective for traditional sleep therapy options. The Bi-Flex machine is small and easy to use. 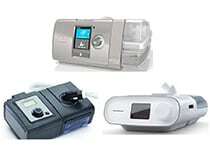 With this BiPAP machines sleep apnea patients are able to control their sleep disturbances. This machine is just the right size and fits well on a nightstand. Inspiratory and expiratory breaths are managed through multiple modes of operation. It also has maximum performance through auto adjusting various cycles and triggers. 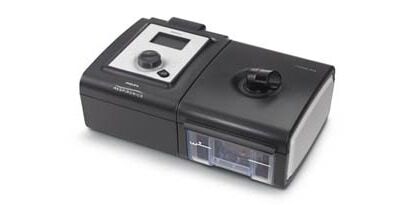 This BiPAP machine made the list of my favorite BiPAP machines. 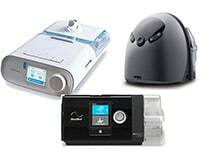 You may also be curious about my article on the best CPAP machines as well as the difference between BiPAP machines and CPAP machines! Get it here online with free shipping! No Prescription Required! The size of this machine is decent and fits great on a nightstand. The size of this machine is 9.45″ (l) x 6.69″ (w) x 4.72″ (h), 24 cm (l) x 17 cm (w) x 12 cm (h). In addition the weight of this machine is easily transported at a weight of under 4 pounds or 1.8 kilograms. 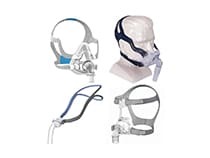 This model is very easy to use for sleep apnea patients as well as respiratory illness patients. The pressure delivery is auto-adjusting and comes at a bi-level so that the patient doesn?t have to work the machine. The Digital Auto-Trak Sensitivity means that all that the patient has to do is breathe. It is that simple. The Compliance Management Software allows the patient to easily understand and read the reports and records from their sleep therapy treatment. This machine’s specifications are a little different than other sleep apnea machines. That just makes this machine all the more unique. Click here to check out how this BiPAP’s specs stack up against the best BiPAP machines on the market today. The features of this BiPAP Machine are beneficial for providing sleep therapy treatments to many sleep apnea and respiratory illness patients. 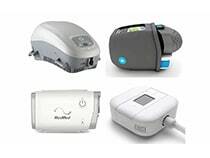 The Respironics BiPAP Auto Bi-Flex with SD Card is an effective sleep therapy treatment for decreasind sleep apnea, other sleep destructions and respiratory illnesses. This is a unique one of a kind, user friendly and easy to use BiPAP Machine that offers patient comfortable settings and great features which allow for beneficial management. No?matter which BiPAP machine you decide to go with, I recommend getting this machine cleaner so that you can keep everything nice and sanitary! 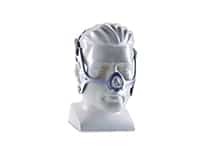 If you are new to sleep apnea and are looking for a mask as well, check out my article on the best masks available. 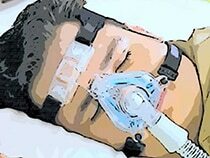 I also have an article on my recommendation for the most comfortable mask as well as great masks for side sleepers. I hope this article was helpful for you guys! Rest well!